* User Selectable Levels: 3 main levels (High, Medium and Low). Each main level can be configured to one of its two sub-levels. 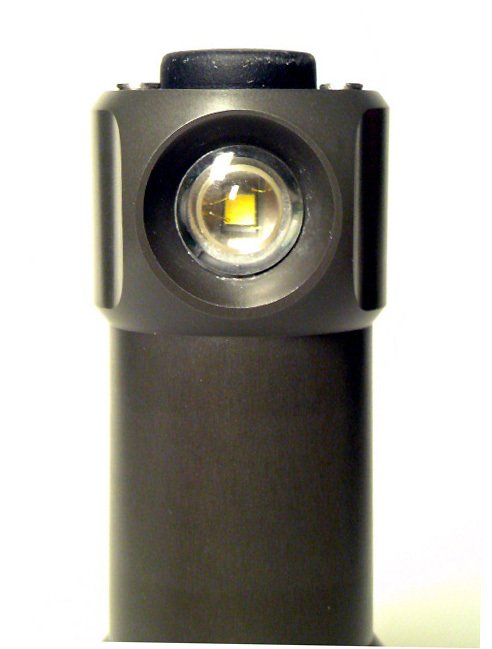 The second sub-level of the High can be further configured to different brightness levels or strobes. 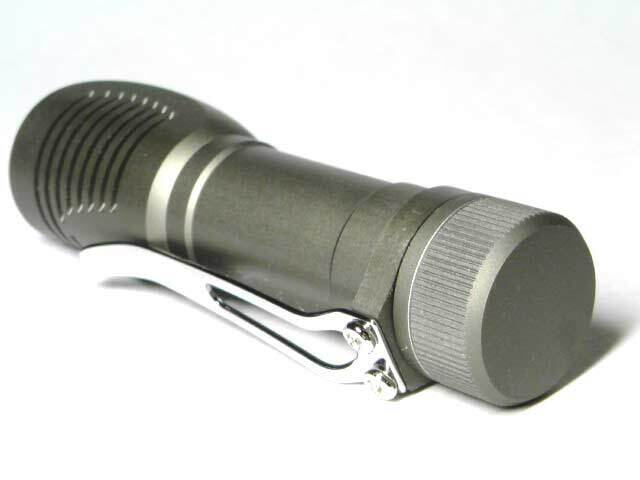 o Light output are out the front (OTF) values. Runtime tests are done using Sanyo 2000mAh Eneloop AA batteries. 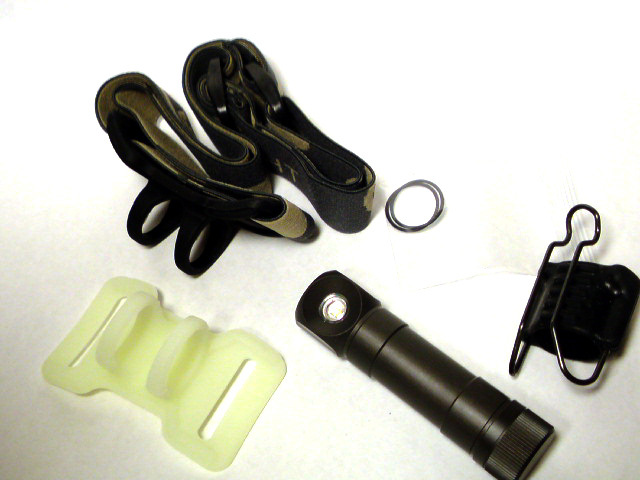 o 164, 115, 25, 6.5 and 2.0 Lumen output are current regulated. 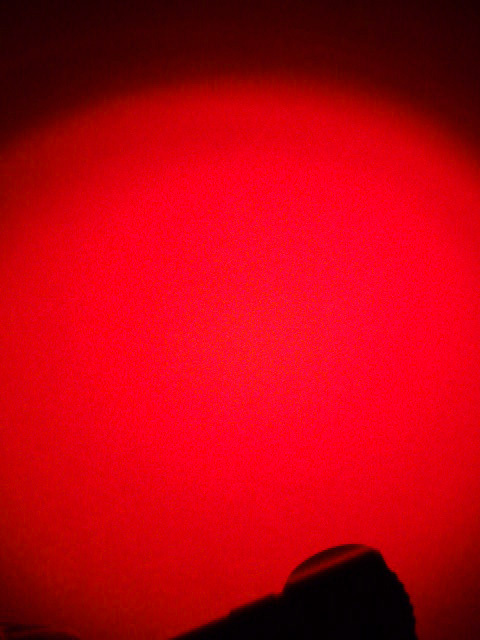 82 and 0.16 Lumen output are PWM generated. 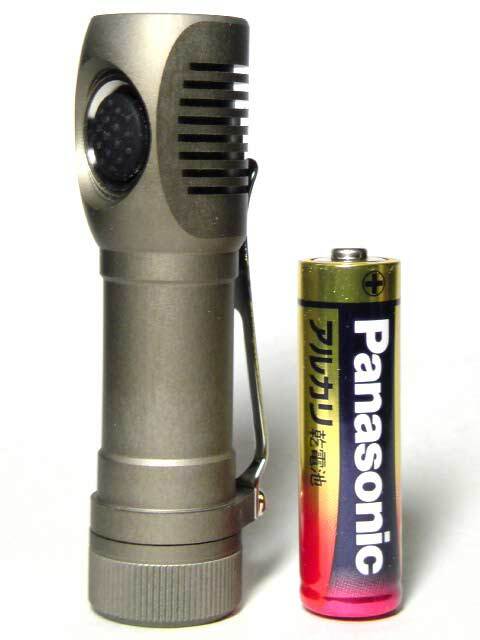 * Battery: One 1.5V AA (NiMH, lithium or alkaline). 14500 Li-ion batteries are not supported. Batteries are not included in the package. providing unblocked thermal paths to over 94% of the surface area. 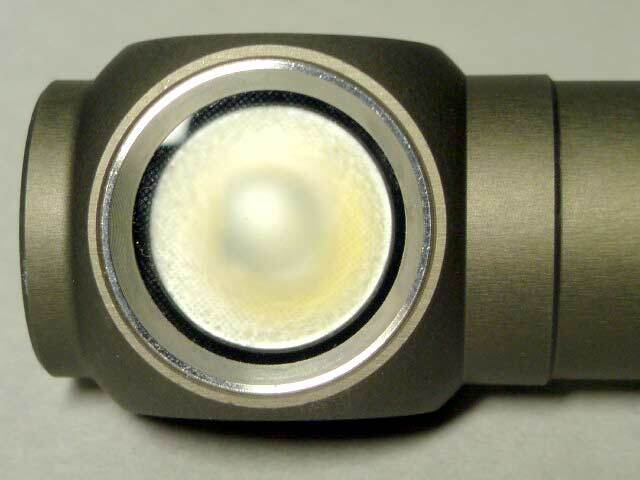 o 200, 140, 30, 8 and 2.5 Lumen output are current regulated. 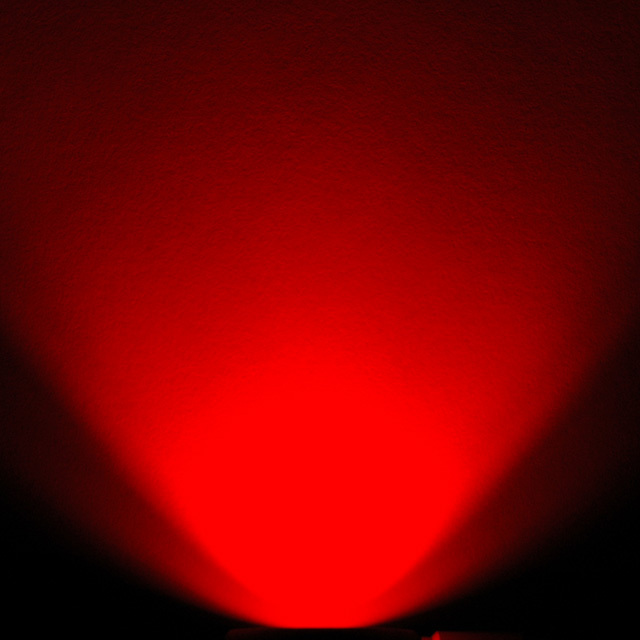 100 and 0.2 Lumen output are PWM generated. o Proprietary heat sinking design bonds the LED board directly to the unibody aluminum casing, providing unblocked thermal paths to over 94% of the surface area. * User Selectable Levels: 3 main level (High, Medium and Low). 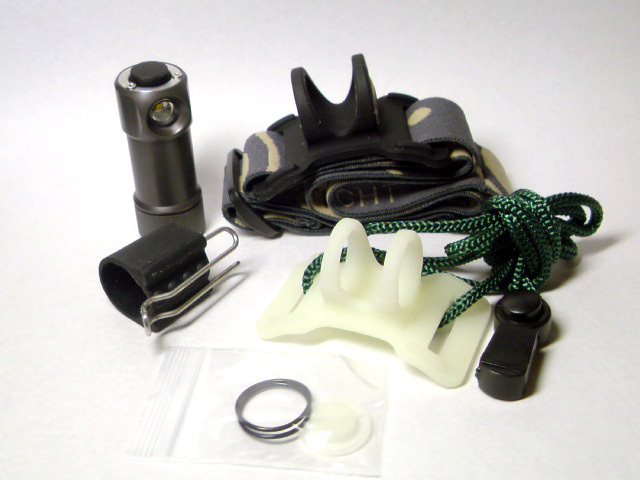 Each main level can be configured to one of its two sub-levels. 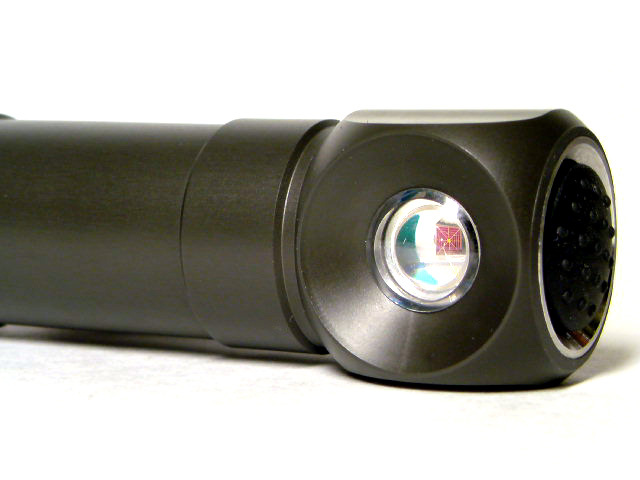 The second sub-level of the High can be further configured to different brightness levels or strobes. *User Selectable Levels: 3 main level (High, Medium and Low). Each main level can be configured to one of its two sub-levels. 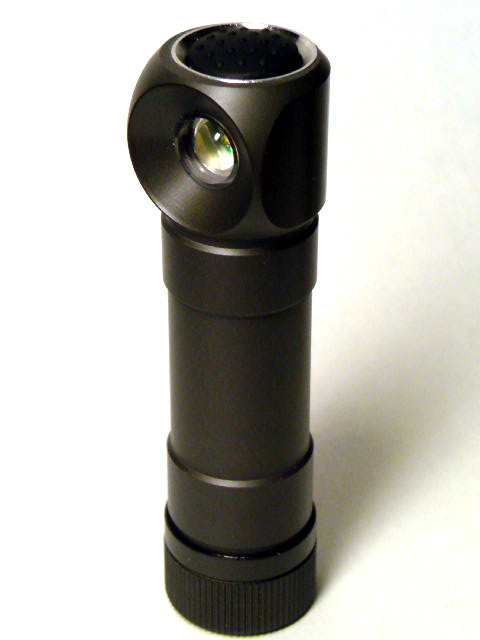 The second sub-level of the High can be further configured to different brightness levels or strobes. 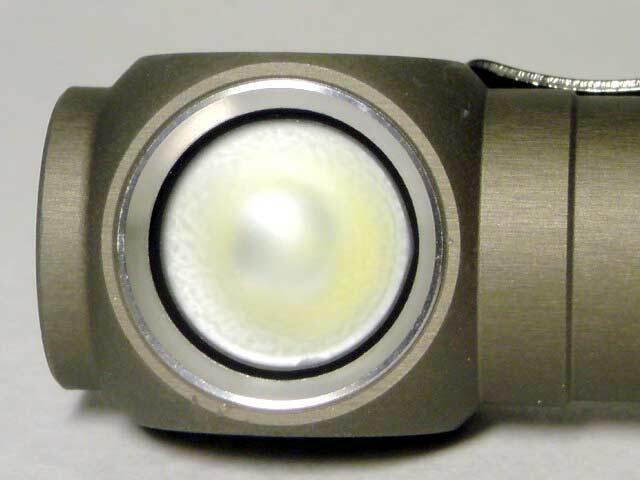 o 190, 133, 28, 7 and 2.4 Lumen output are current regulated. 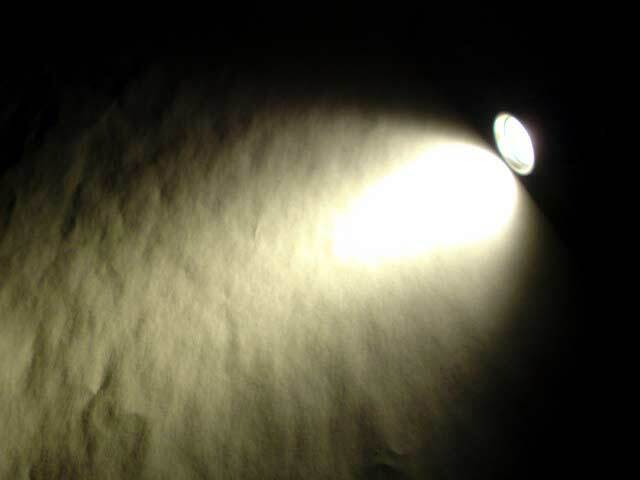 95 and 0.2 Lumen output are PWM generated. 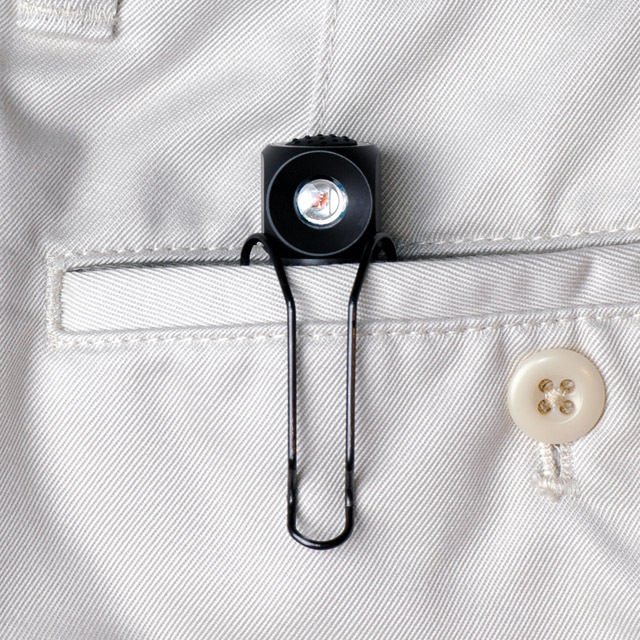 o Short click turns on the light to High or turns off the light. 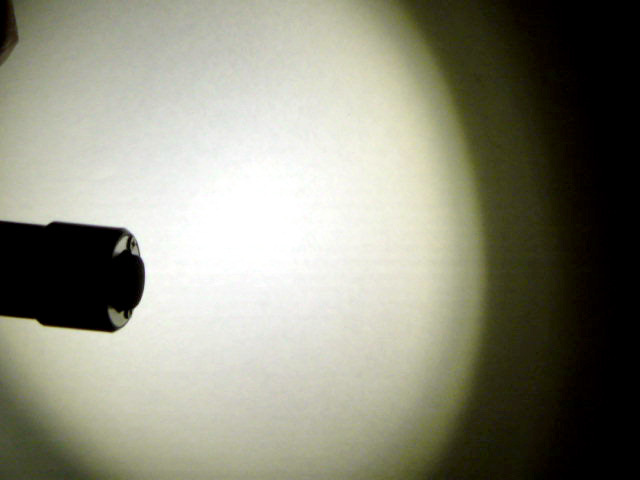 o Long click (press and hold for about 0.6 seconds) turns on the light to Low. o Short click turns on the light to High. Short click again quickly to cycle from High to Medium, and Low. o Press and hold to cycle from Low to High, release to set. When press and hold, the light always cycle from Low to High regardless which level you are currently in. o Double click to toggle and select between the two sub-levels for that main level. 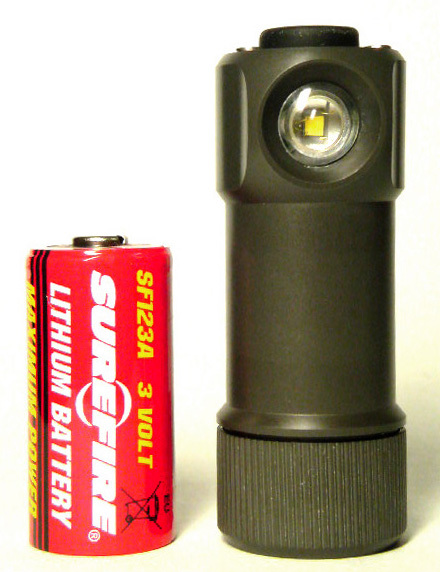 Sub-level selections (except the strobe) for the 3 main levels are memorized after the light is turned off and through battery changes. 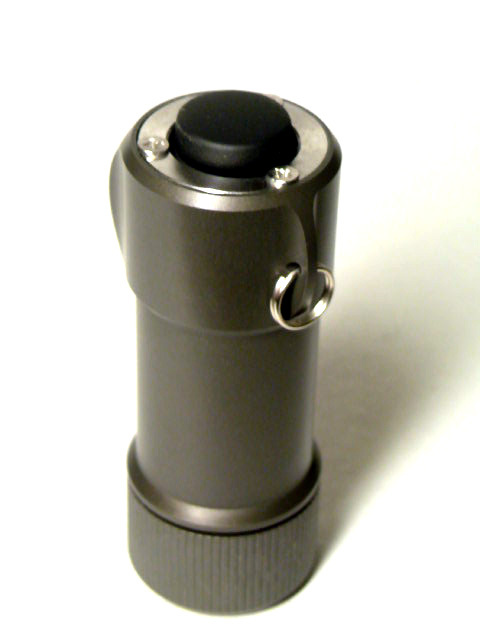 o The second sub-level of the High can be configured after 6 double clicks. Double click (startng with the 7th) to cycle and select different brightness levels or strobes. Short click to turn off the light when finishing configurations. 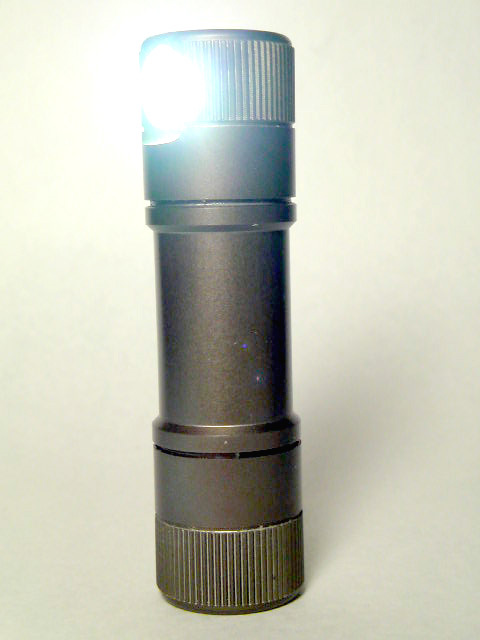 The selections for the second sub-level of the High are memorized after the light is turned off and through battery changes. 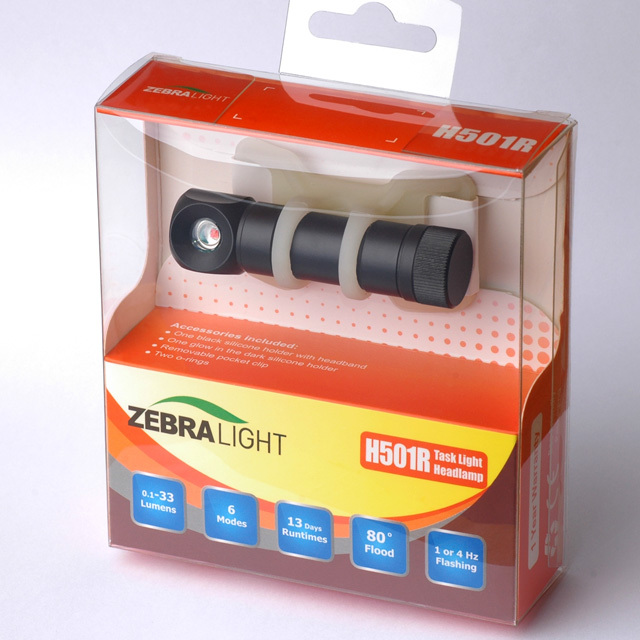 ■ ZEBRALIGHT H31W Headlamp Cree XP-E Neutral White LED Max 161Lumens. * User Selectable Modes: 3 (High, Medium and Low). Each mode can be configured to one of the two sub-levels. 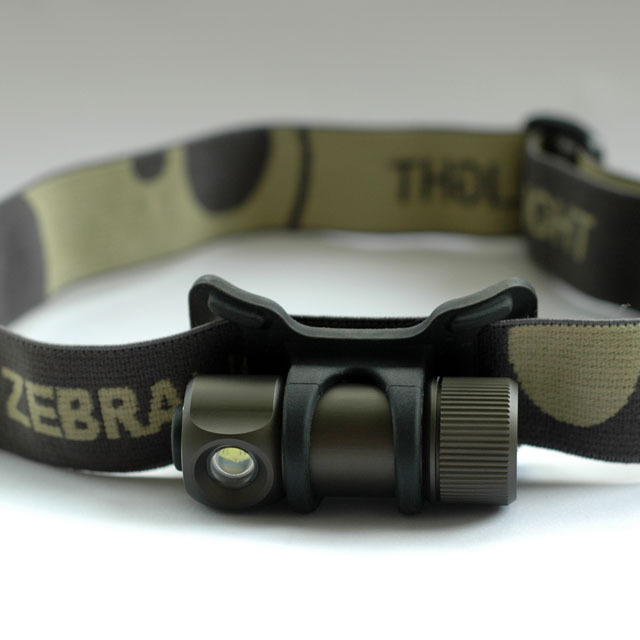 o Light output are out the front (OTF) values. 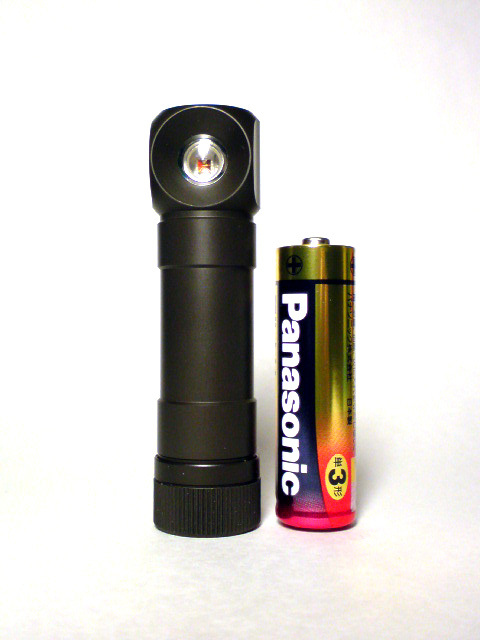 Runtime tests are done using Panasonic CR123A lithium batteries. * Battery: One CR123A lithium. Batteries are not included in the package. 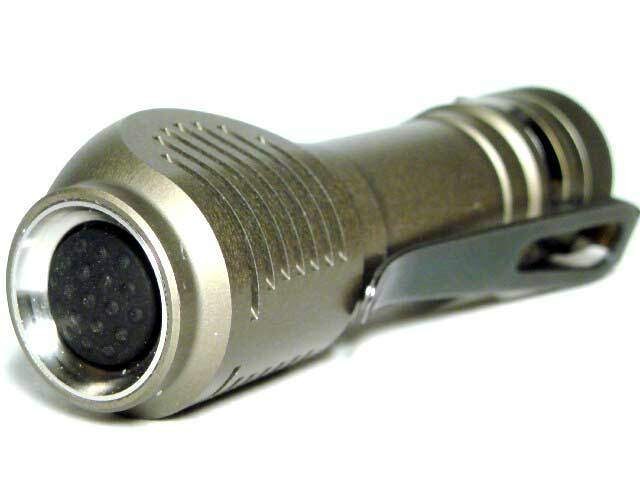 o Short click turns on the light to High (H2) instantly. Click again quickly to cycle from High to Medium, and Low. o Press and hold to cycle through Low, Medium and High, release to set. 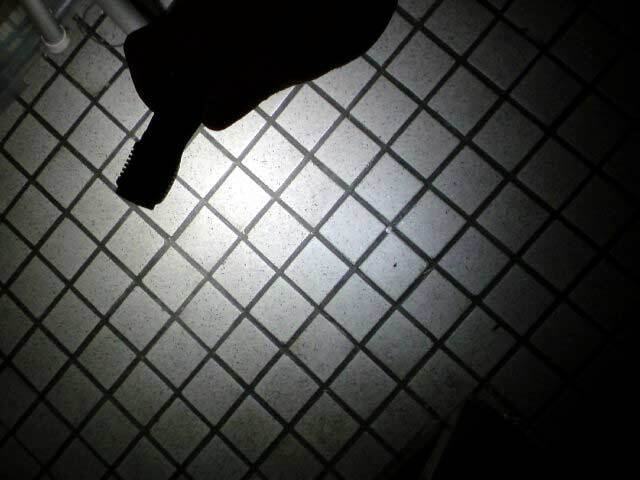 o Short click turns off the light. o Press and hold to cycle from Low to High, release to set. The light always cycle from Low to High regardless which level you are currently in. o Double click at any level to toggle and select between the two sub-levels for that level. Medium and Low selections are memorized after the light is turned off and through battery changes. H1 is not memorized. 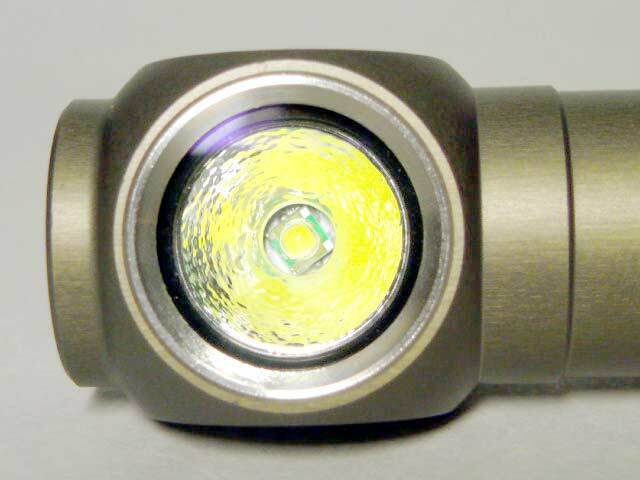 ■ ZEBRALIGHT H31 Headlamp Cree XP-G Cool White LED Max 220Lumens. 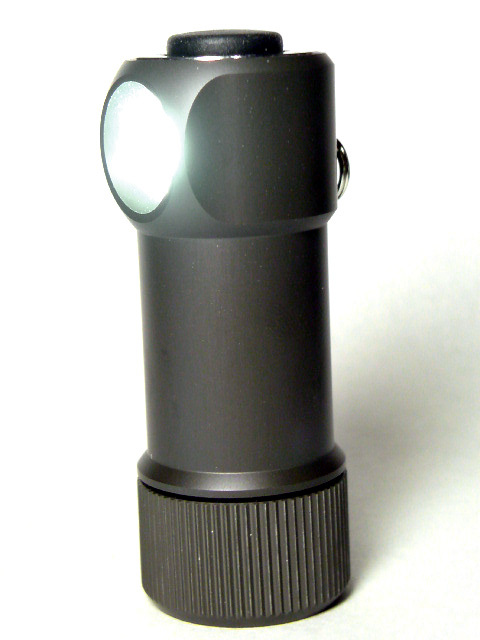 o Light output are out the front (OTF) values. 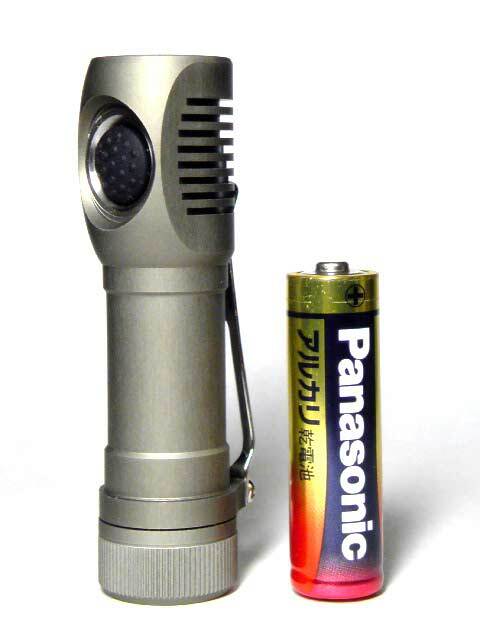 Runtime tests are done using Panasonic CR123A lithium batteries. Batteries are not included in the package. 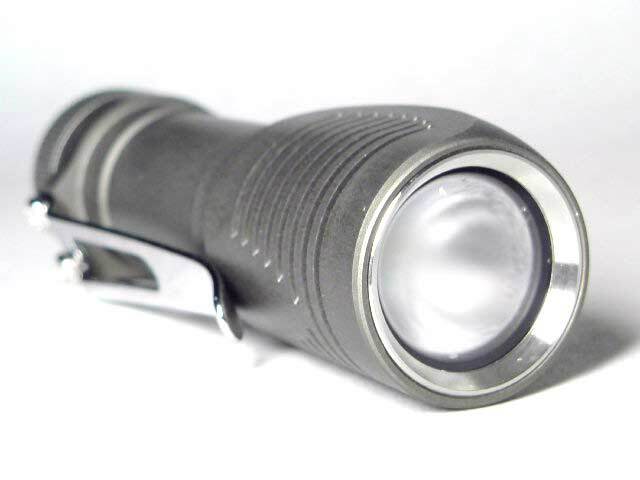 ■ ZEBRALIGHT SC50W Flashlight Cree XP-E LED Neutral White Max 107Lumens. * Battery: One AA size alkaline. Batteries are not included in the package. * Parasitic Current Drain: 5.6uA, equivalent to 55 years of battery life. o Proprietary heat sinking design bonds the LED metal core board directly to the uni-body aluminum casing, providing unblocked thermal paths to over 94% of the surface area. 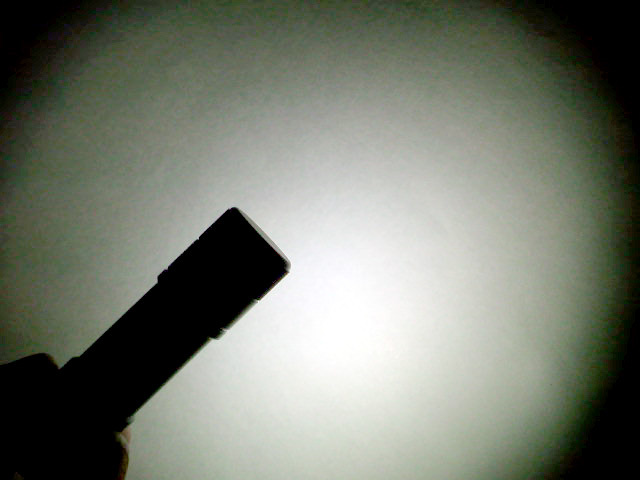 o Short click turns on the light to High instantly. Click again quickly to cycle from High to Medium and Low. o Press and hold to cycle from Low, Medium to High, release to set. When press and hold, the light always cycle from Low to High regardless which level you are currently in. o Double click at any level to toggle and select between the two sub-levels for that mode. 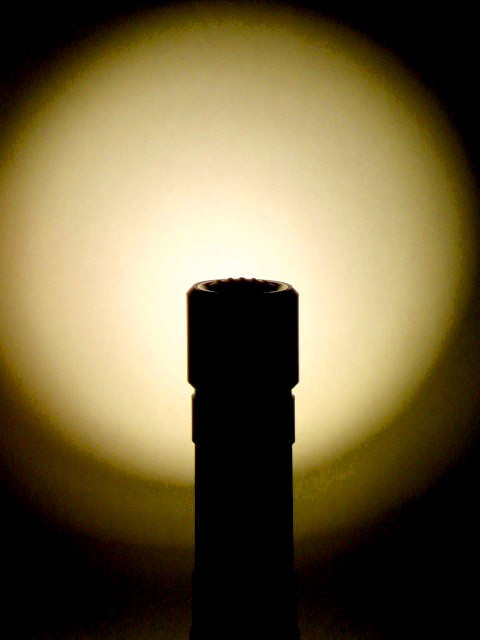 Medium and Low sub-level selections are memorized after the light is turned off and through battery changes. Strobe selection is not memorized. 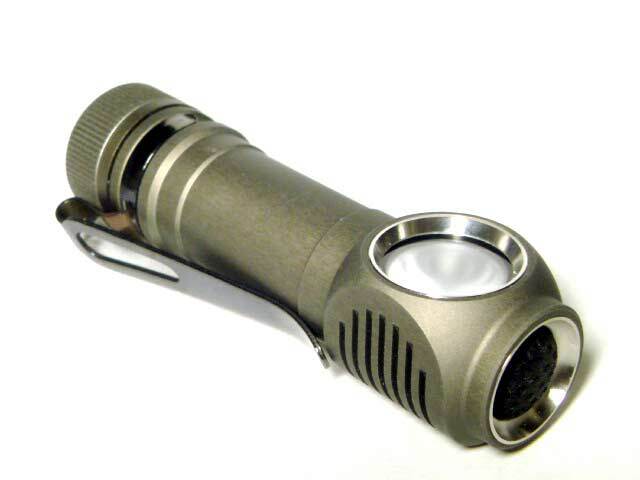 ■ ZEBRALIGHT SC50 Flashlight Cree XP-E LED Cool White Max 122Lumens. 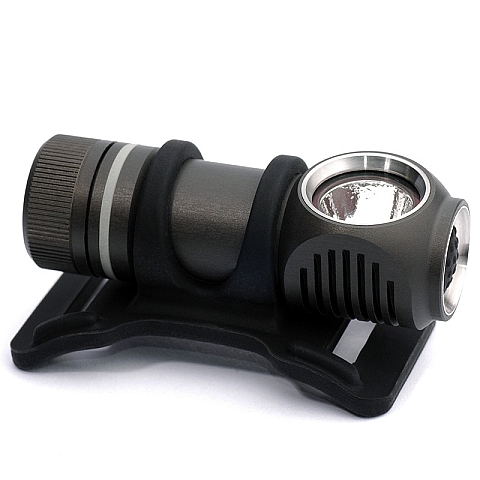 The H30 is an extremely bright and small angle light that can be used as a headlamp or as a task/pocket light without the headband. Three light levels spread far apart, easily selected with a soft touch push button. 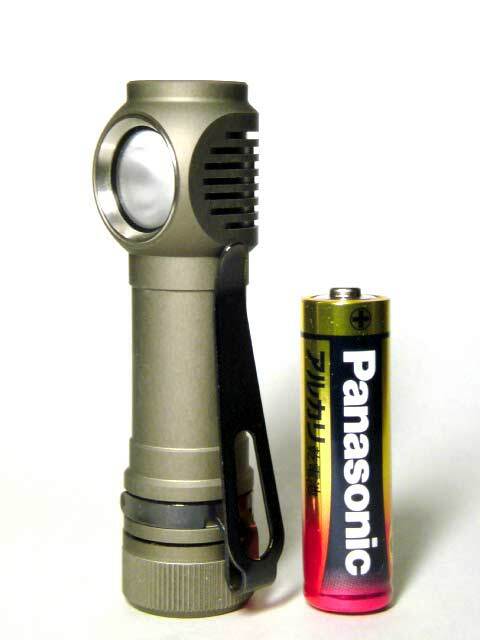 Powered with a single CR123A lithium battery, the H30-Q3-5A can run 3.7 days continuously on Low or generating 67 Lumens of bright light for 2.5 hours. 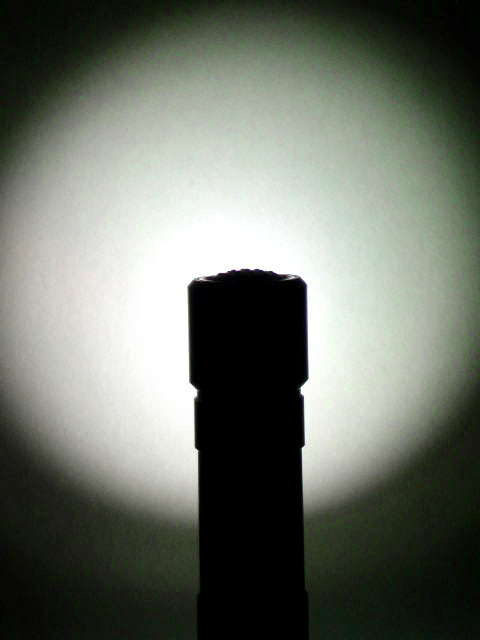 When the light is OFF, slightly unscrewing the tailcap can prevent the light from unwanted activations. 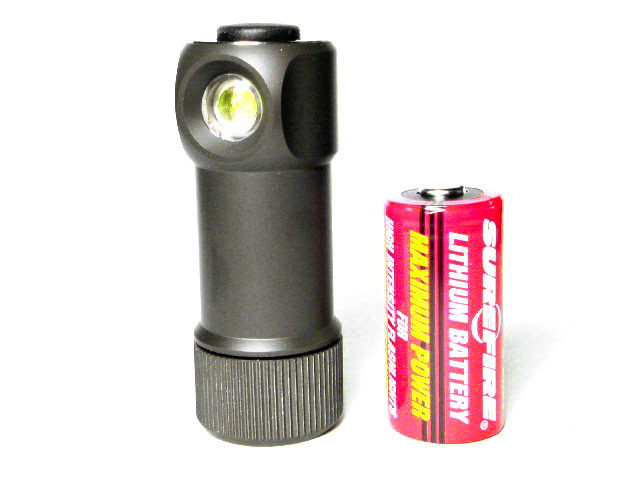 The H501R is a high performance and versatile right angle flashlight with a bright Cree XLamp red color LED. 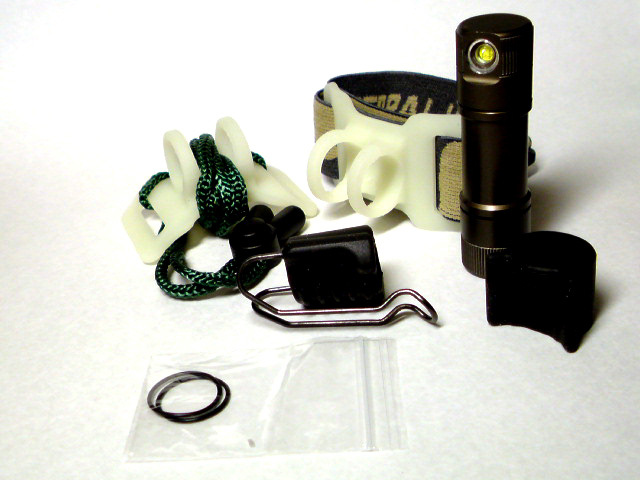 The H501R can also be used as a headlamp with a supplied headband. 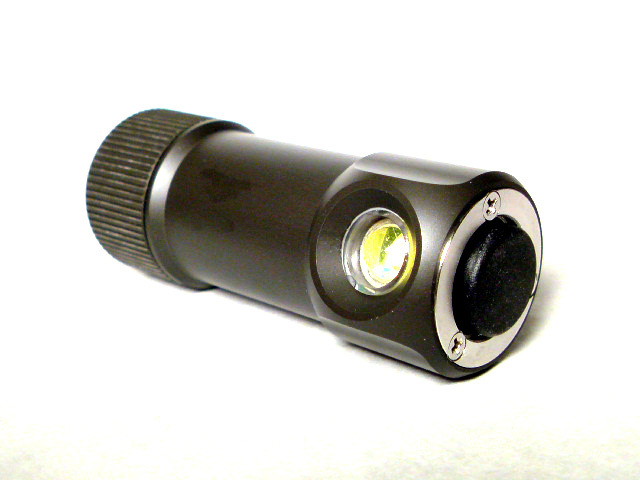 Six modes, including two flashing modes, can be easily selected with a soft touch pushbutton switch. 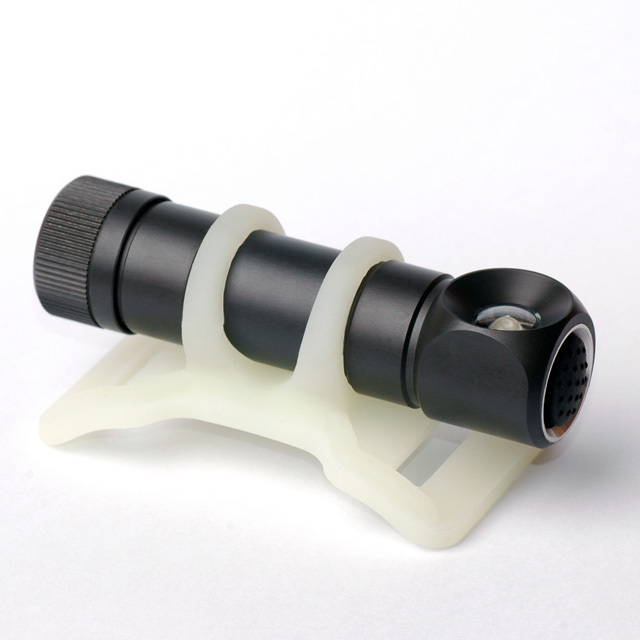 Low level outputs are perfect for preserving night vision including astronomical map and data readings. 1Hz and 4Hz flashing frequencies from British standard for cycle rear lights are used. 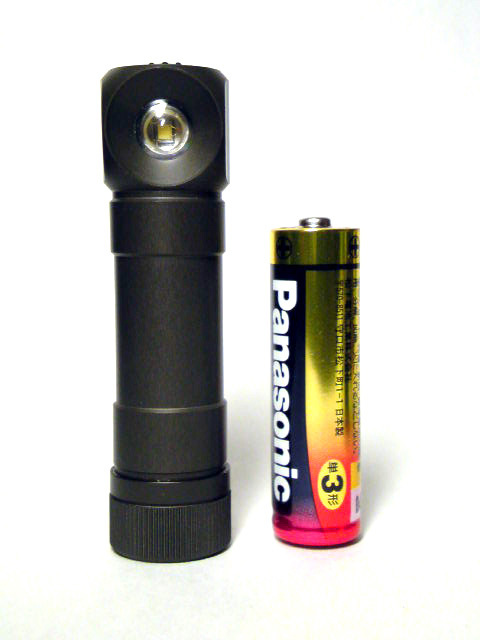 Light outputs and runtimes are measured using Sanyo 2700 mAh NiMH batteries. Light outputs are out the front values. 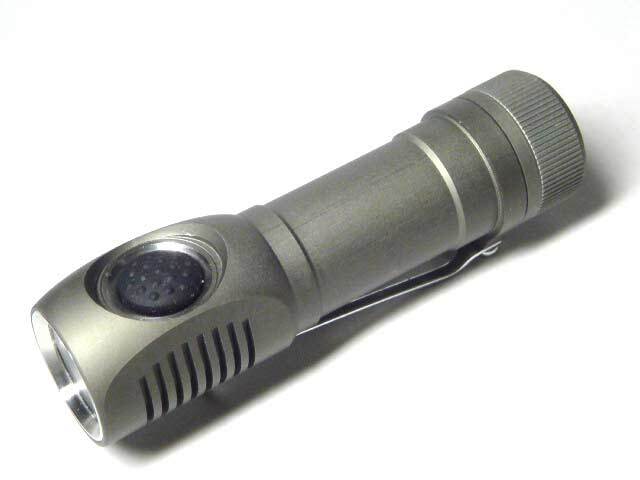 ・Precision 3D machined casing from premium grade Alcoa aluminum alloy billet, light weight with superior structural strength. 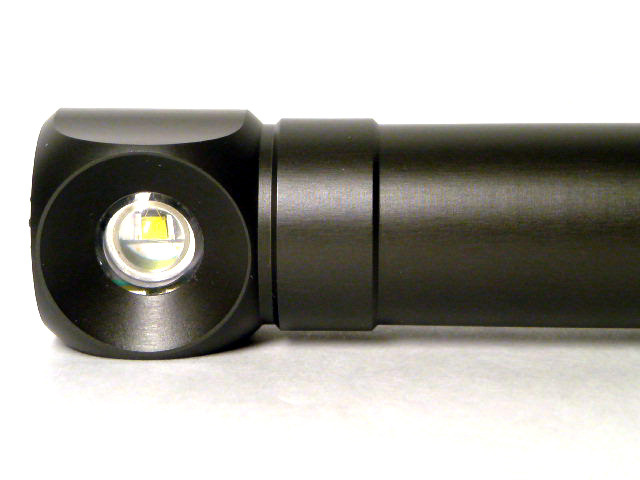 The H501w is a high performance, versatile, all aluminum headlamp with a warm white tint LED. 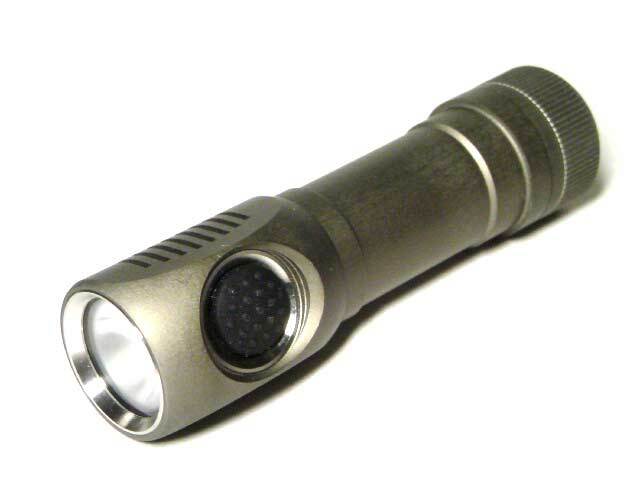 The H501w can also be used as a general purpose angled flashlight without its headband. 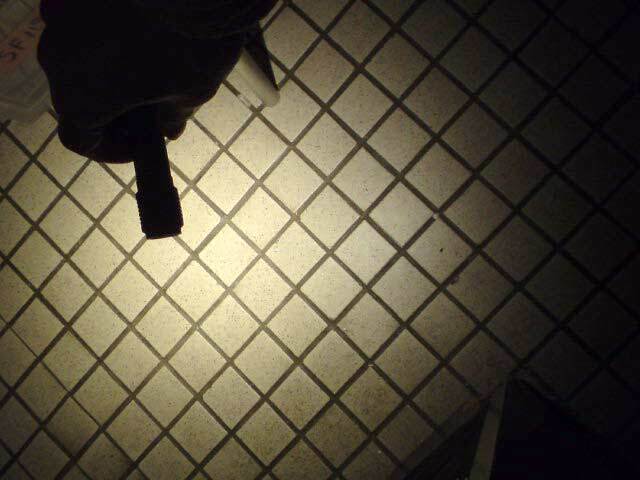 Three light levels spread far apart, easily selected with a pushbutton switch. 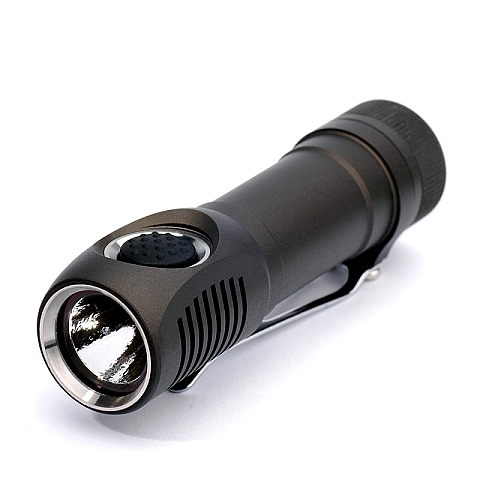 Powered with one AA size battery, the H501w can produce a maximum of 80 Lumens of smooth flood light. 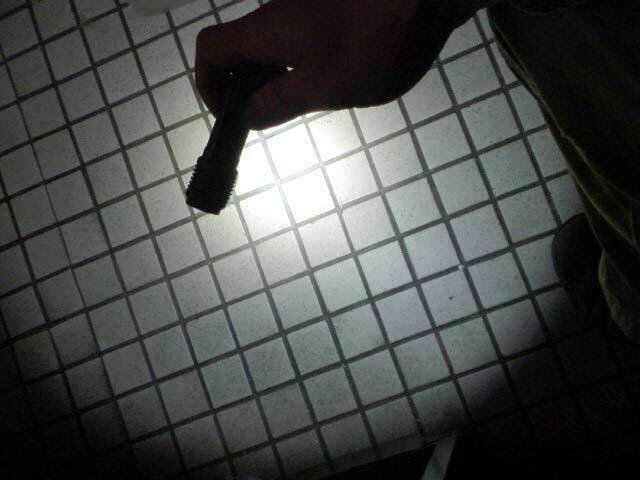 ･Light Output: Constant ratio output level spread. Current regulated. 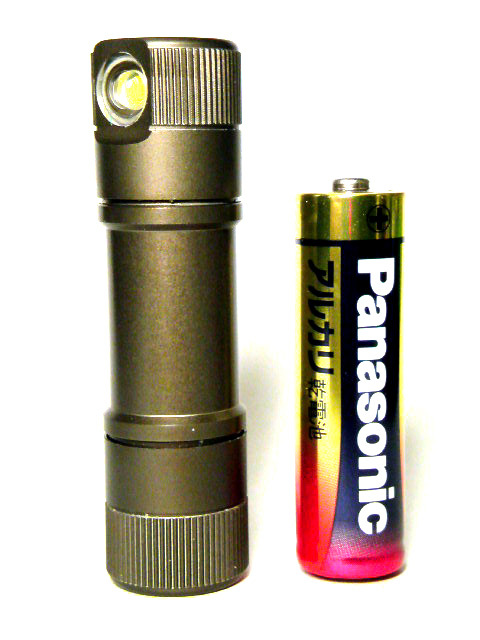 Light output and runtimes are measured using a Sanyo 2700 mAh NiMH battery. 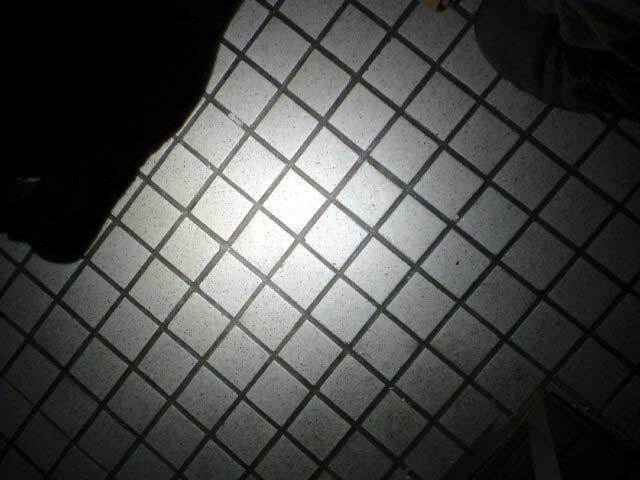 Light output are out the front values. 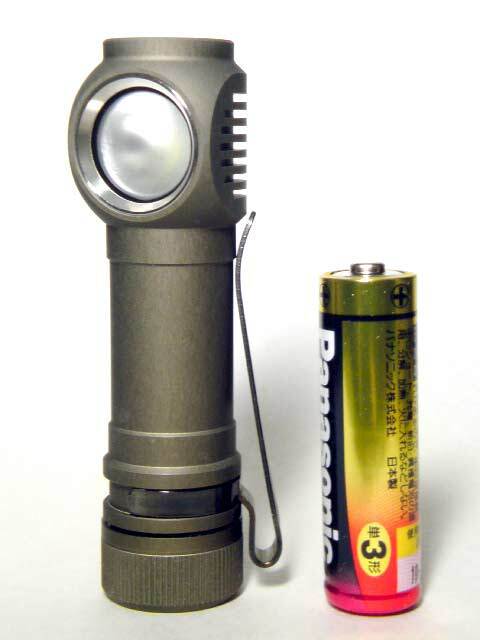 ･Battery: One AA size alkaline, 1.5v lithium primary, NiMH rechargeable, or 3.7v 14500 Li-ion rechargeable. Reverse polarity protection. 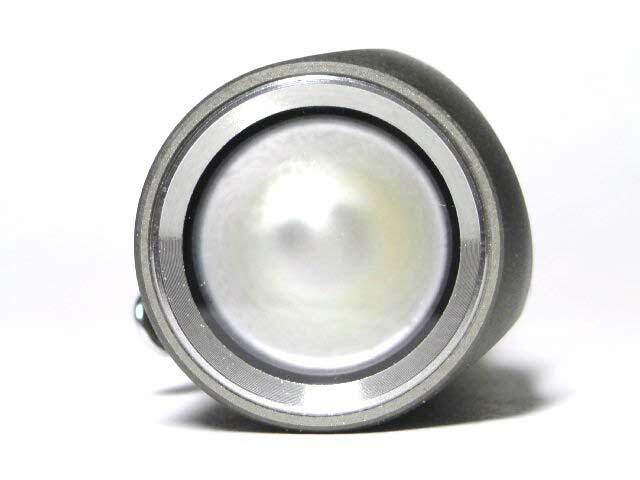 Soft touch pushbutton switch, with a minimum operating life of one million cycles. Recessed impact resistant LEXAN polycarbonate lens. Precision 3D machined casing from premium grade Alcoa aluminum alloy billet, light weight with superior structural strength. 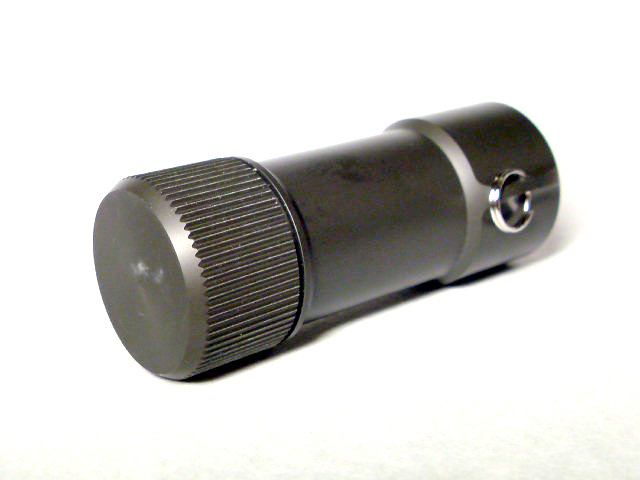 Electrically conductive aluminum body provides inherent EMI/RFI shielding. Press and hold to cycle through Low, Med and High, release to set. Click to High, click again quickly to cycle through Med, Low and High. Double click to toggle between Strobe mode and High. 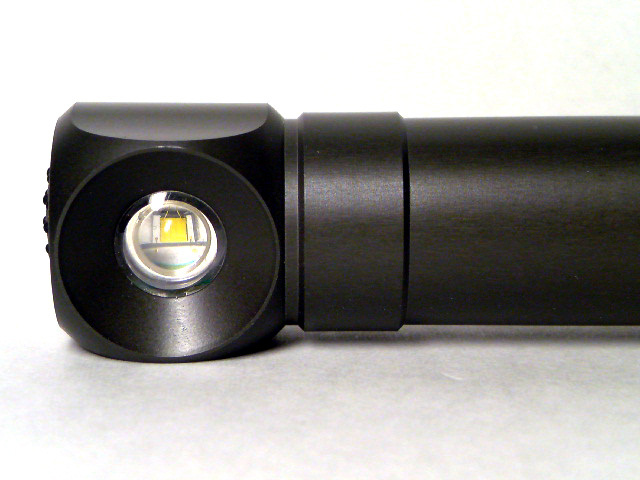 The H501 is a high performance, versatile, all aluminum headlamp. 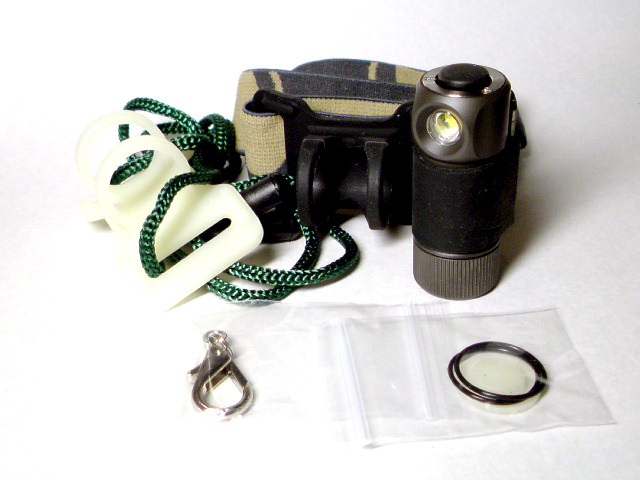 The H501 can also be used as a general purpose angled flashlight without its headband. 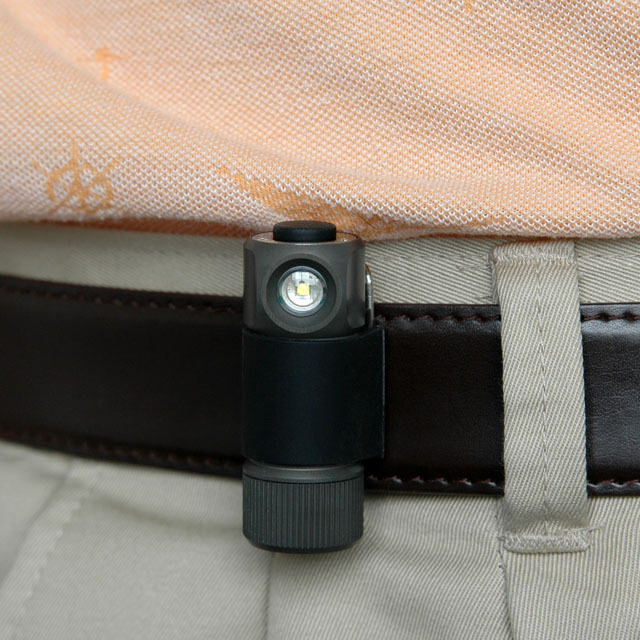 Three light levels spread far apart, easily selected with a pushbutton switch. 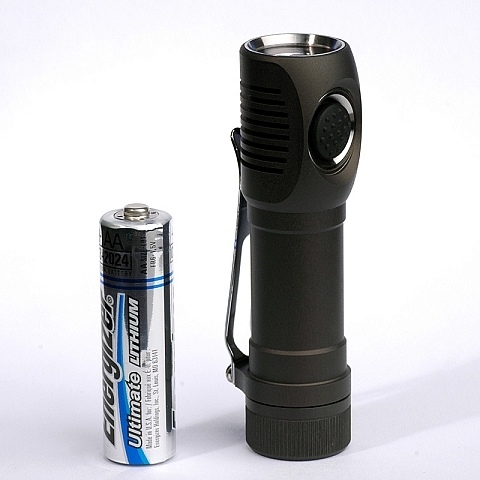 Powered with one AA size battery, the H501 can produce a maximum of 96 Lumens of smooth flood light. 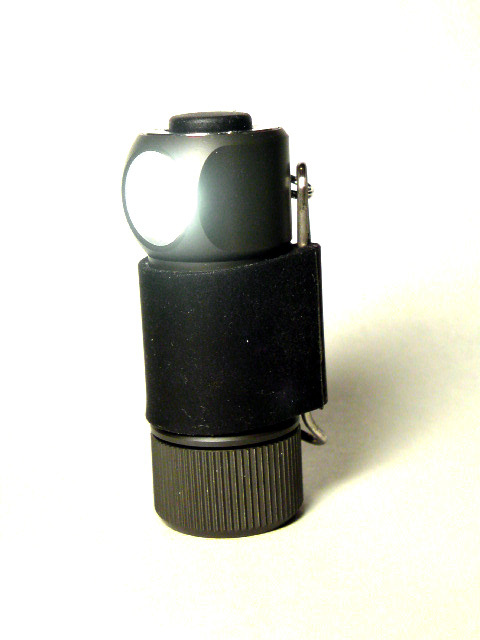 The H30 is an extremely bright and small angle light that can be used as a headlamp or as a task/pocket light without the headband. Three light levels spread far apart, easily selected with a soft touch push button. 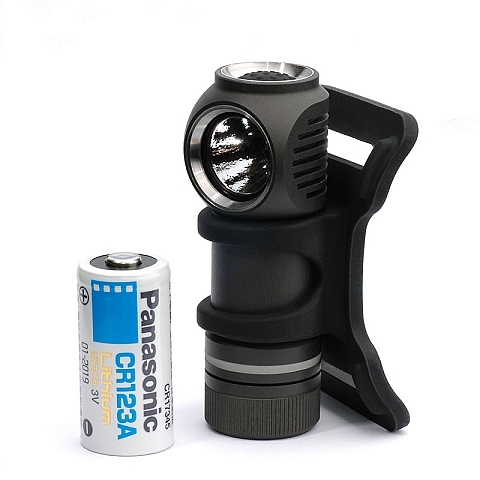 Powered with a single CR123A lithium battery, the H30 can run 3.7 days continuously on Low or generating 80 Lumens of bright light for 2.5 hours. ・Output：Out the front brightness, fully regulated. With its extreme light weight, high brightness, long runtime and floody beam pattern, the H50-Q5 headlamp is the perfect choice for camping, hiking, task lighting as well as indoor use. 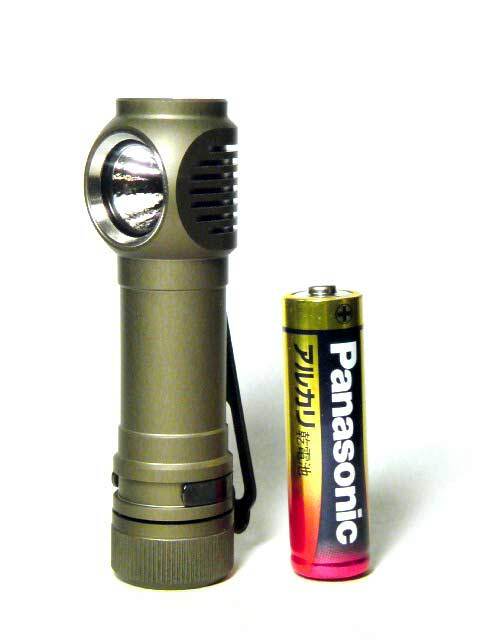 ・Battery：One AA alkaline, NiMH rechargeable or lithium. Limited Li-ion support: when used with a 14500 Li-ion battery, the light output levels are the same at Low and Medium but lower at High. Runtimes will be shorter. ・Performance：Constant ratio output level spread. Fully regulated. 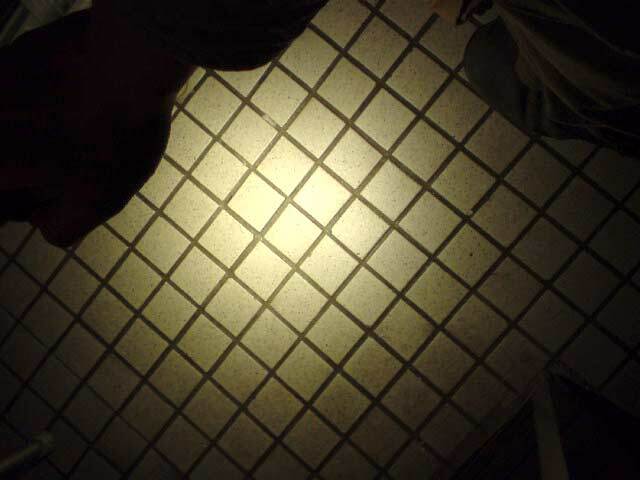 ※Light levels are out of the headlamp values. Runtimes performed using a Sanyo 2700 mAh NiMH battery. ・Constructions：Impact resistant LEXAN polycarbonate lens. 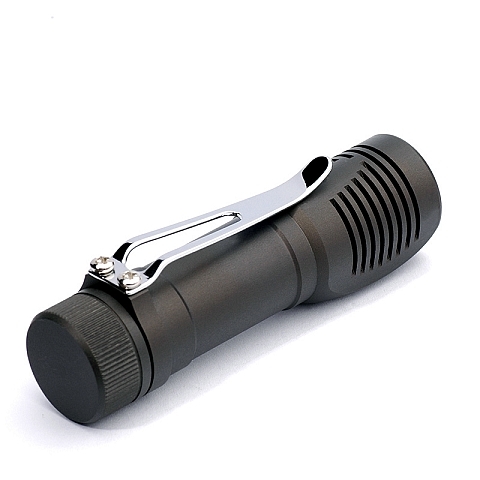 Aluminum alloy case with durable hard anodized finish. 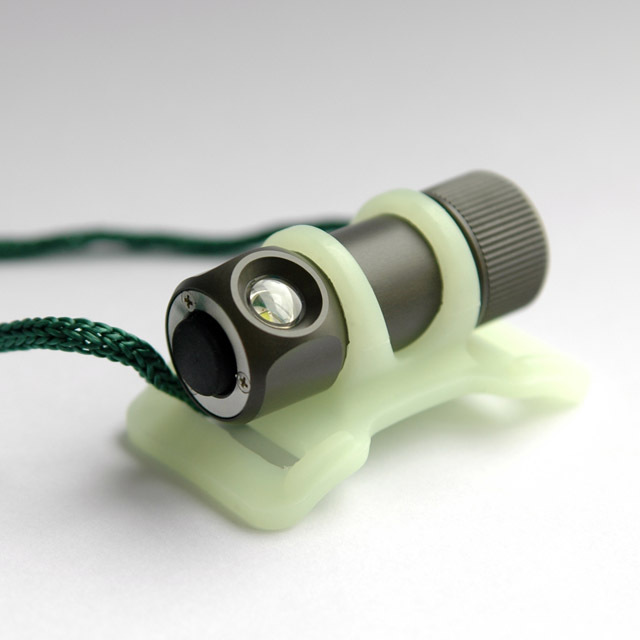 Glow in the dark silicone bracket. Waterproof. Tailcap twist switch. Operation sequence: OFF, low, OFF, Medium, OFF, high. 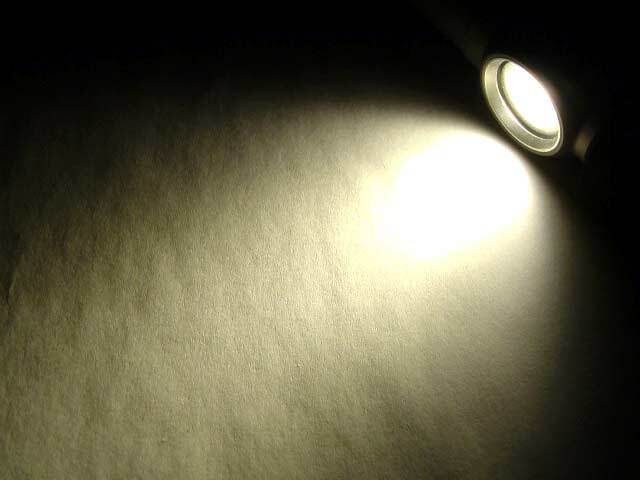 If the light is turned off for more than 5.6 seconds, the light level resets to low.